Dreams – they do come true! Not very long ago but nearly nine years, I used to fantasize about my life as a traveler. The kind of traveler I used to imagine myself as was not one of those wandering around spotting the tourist attractions and exploring luxurious hotels and towns but a traveler who is living with different communities, with various people, living with them, knowing their culture, learning their skills. While watching channels like Fox traveler and Discovery and others, I used to be awe struck about how each community in this world must be doing some or the other kind of artistic work to survive. As I was a child that time, I never even thought of India, that it could be one of those places where every region, nay every village, could have a specialty of its own, where the whole village strived towards working in one medium or one occupation. Nevertheless, I couldn’t think of a single huge group or community which could work in one profession. While daydreaming about such thoughts, I used to get filled with happiness and excitement and then eventually get my feet back on the ground. It is blissful to fulfill your dream but it is phenomenal to realize that what you are doing right now was once your dream and you are actually living in your dream. A similar euphoria is flooded within me while visiting various villages to learn about their crafts and to also learn from them their own craft. 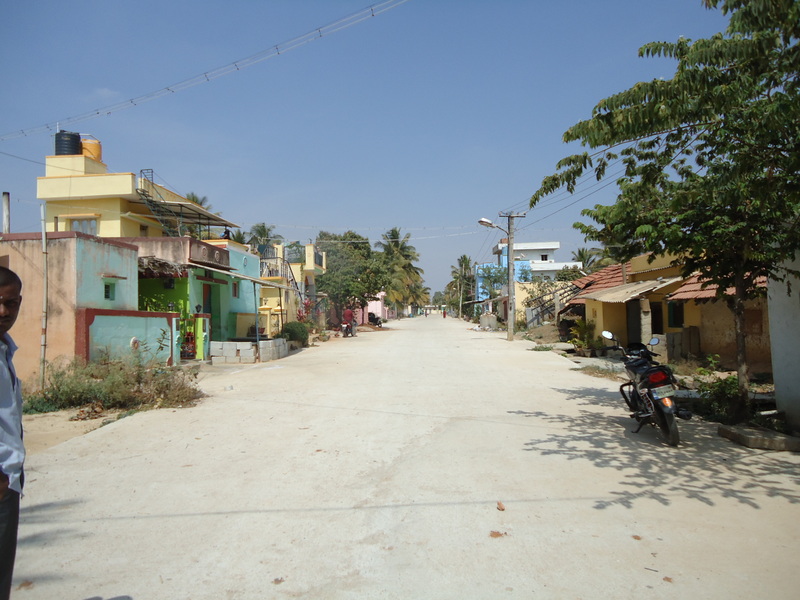 Just yesterday (30th Jan, 2014), I visited a village called Marasandra which is a suburb of Bangalore and is some 25 kms heading north. I was not expecting anything while heading towards the place in a bus with one of my friends, Aarushi. My intention of visiting this place was to learn about terracotta work so that I can use this work for developing my product range. I had heard that this village is a cluster of craft working in terracotta. The only doubt I had in mind was the communication barrier due to the regional language – Kannada, which I am unfamiliar with. At the same time, I was optimistic about finding at least one person in the whole village who would know Hindi or English – languages that I can understand well. That someone who is also willing to help us talk to the locals about their work. I was prepared to grant some currency in return of the role as a translator. While being occupied with these thoughts, I didn’t realise that twenty minutes had already passed by since we started from Yelahanka, and we hit the bus stop of Marasandra – a vilage which is on the Doddabalapur main road. I knew the landmark of the possible location of these workplaces which was the Suman School. 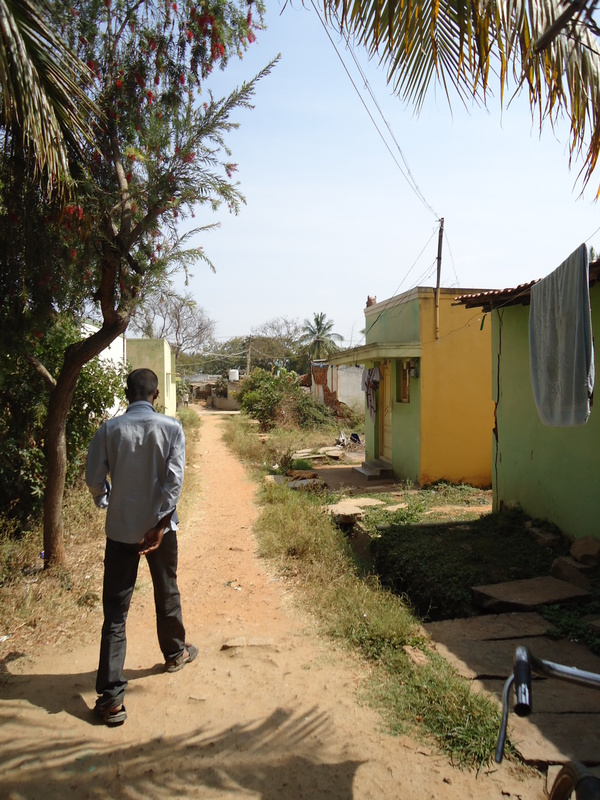 After enquiring about the location of the school, we started walking on the main road moving further away from Yelahanka. While walking for 15 mins, we asked a person in a Bisleri shop about where the school was. The guy was generous enough to come along with us show us the school where he studied in and which we had crossed already and missed because of a tiny signange that was not visible. Fortunately the guy knew a little Hindi and in his language ‘shulp shulp’ Hindi. 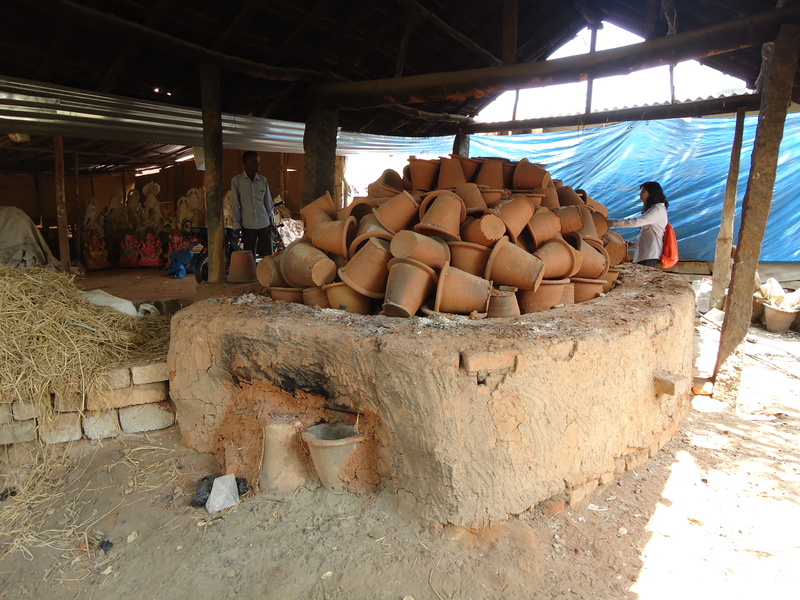 He took us to a potter’s house when we asked him the location for terracotta work. Although the conversation was difficult with Prasad, the Bisleri boy with his shulp knowledge of Hindi, still by using basic hindi words and understanding the basic Kannada words, we could communicate well with him to make him understand the thoughts and reasons for our visit. Even before we could ask him to help and accompany us to look around for some artisans who work in terracotta, Prasad was with us, taking us to various craftsmen’s houses to show their works. 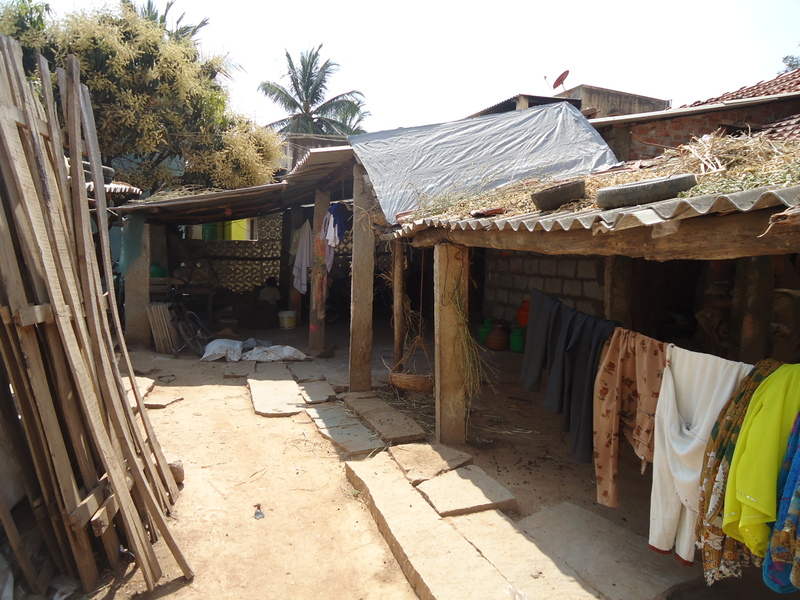 It was intriguing to watch the film-like village and the small thatched workplaces and houses of the craftsmen. 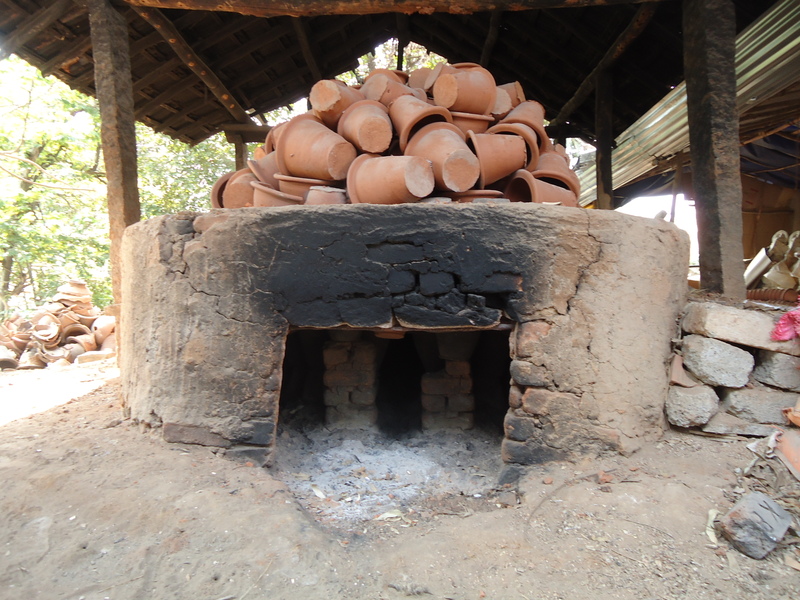 The first place that we went to was the house of a very old artisan aged 55 years, who was preparing his clay for work. He was taking out small pebbles from a huge lump of wet clay. The whole scene was very fascinating and the space was cool because of the wetness of mud and shade of the thatches. With a lot of effort, we tried to understand the whole process of procuring raw material. The basic material – mud was being transported from the Marasandra lake or kere to the artisans’ houses. The artisan was not going to work on the wheel or model that day. He asked us to come down the next day or the day after that. While watching his dedication towards work and the long ten hours of work a day, I felt that the amount he was earning by selling his pots at a meager price, was unfair. I observed that the range of products which were being produced was limited to plantation pots of a specific kind and God idols which were produced during festive seasons. On my next visit, I would learn more about the market of the products and the reason for limiting the product range. 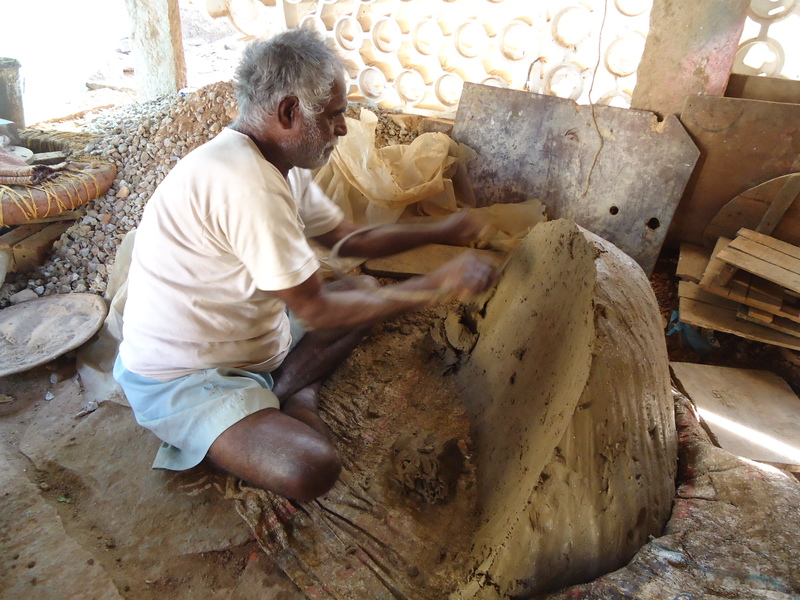 As that artisan was not working on his wheel, Prasad took us to around 3-4 terracotta artisans who were working on idols and show pieces Unfortunately none were working on wheel. 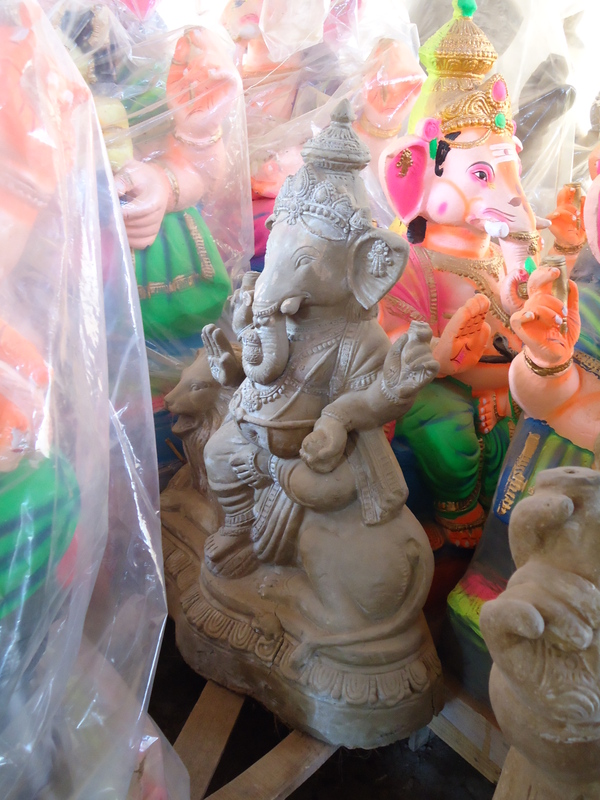 We came across one family which included the artisan, his wife and a son who must be in his late twenties who worked only for making God idols. The artisan said that there is no money in making pots. We get twenty times more money by selling these idols. The method of joining two moulds of clay to form a volumetric figure was fascinating. That artisan agreed to teach us the modeling of figures in clay and called us later for the same. The next house that I went to, was the workplace of a family who used to make Plaster of Paris moulds themselves for making the idols for the festivals. I observed then what a kiln looked like. A huge floor level well surrounded by bricks and on which pots were kept for heating. It took one full day for all the pots to be burnt and made strong. Due to the language barrier, there was less conversation but I believe that the next time I go there, the journey would be more fruitful. The visit was great to get acquainted to the region and its people. Indeed these people are welcoming and are more than happy to share their work and craft. While walking inside the village, I was held back with the thought of my daydream, when I realized that I was living in it – walking through the interiors of a village, talking to various people, knowing about their culture and learning from them. I had never ever thought that this research and study will lead me to the least expected thing that could happen to me. Prasad was a great help and I felt that he was a physical form of my optimism. His non-selfish motive of not expecting anything moved me and let me believe that there are still people who are ready to help when needed without thinking of any benefit. Looking forward to visit Marasandra yet again to know the people more and learn their craft their way.